Of all the threats that face humankind, microbial invaders are among the most frightening. They can overwhelm the body’s immune defenses in a matter of hours. Modern medicine is often powerless against them. And new emerging infections are raising their ugly heads all the time. At Vanderbilt University Medical Center (VUMC), an elite unit of scientists is out to change that picture. They’re coordinating an international effort to compile the first-ever inventory of the cells, genes and proteins that make up the human immune system. Called the Human Immunome Program, the effort was launched last year by The Human Vaccines Project, a public-private partnership of academic research centers, industry, non-profits and government agencies. 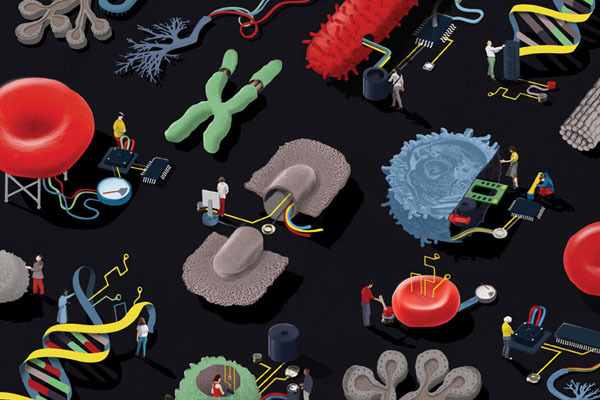 The human immunome, which was excluded from the Human Genome Project due to its size and complexity, is estimated to be billions of times larger than the 20,000 or so genes that make up the human genome. Recent technological advances in the biomedical and computational sciences have made it possible to undertake this mammoth genetic sequencing and data analysis challenge. Using older gene sequencing technology, the federal Human Genome Project published the first-ever list of human genes in 2003, 13 years after it started and at a cost of nearly $3 billion. Today’s “next-generation” DNA sequencers can do the job in a day and for less than $1,000. That’s a good thing, because the human immunome is measured not in thousands of genes but in a much larger scale. The exact number is not yet known but mathematically there are quadrillions of possible genetic combinations (that’s 15 zeros behind a number, rather than three). If scientists understand better how the immune system works, and what happens when it doesn’t, they might be able to intervene to improve treatment and head off disease. What they learn also may have relevance for other immunity-linked diseases including diabetes, multiple sclerosis, rheumatoid arthritis and even cancer. James Crowe Jr., M.D., scientific leader of the Human Immunome Program. Photo by John Russell. 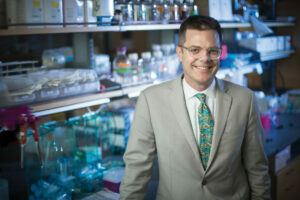 James Crowe Jr., M.D., director of the Vanderbilt Vaccine Center, is the scientific leader of the Human Immunome Program. 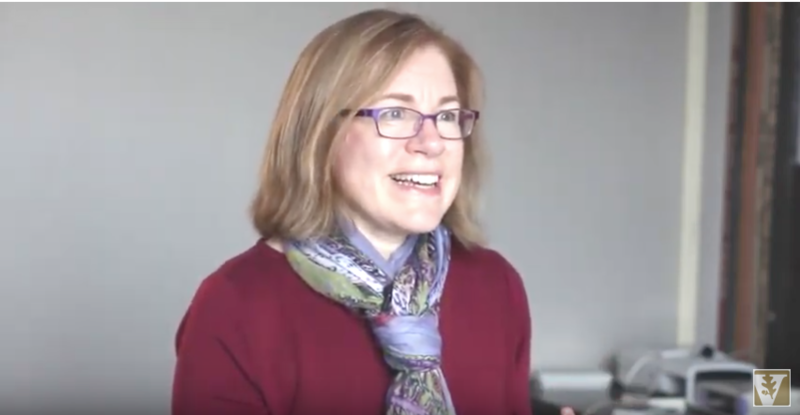 “To do this type of work you really have to have team science,” said Crowe, the Ann Scott Carell Professor in the departments of Pediatrics and Pathology, Microbiology and Immunology in the School of Medicine. Partners include Illumina Inc., an international leader in sequencing technology, and the Project’s bioinformatics and data management core based at the San Diego Supercomputer Center of the University of California, San Diego, and at the J. Craig Venter Institute in La Jolla. Crowe’s quick to point out that coordination of this 10-year, multi-million-dollar effort requires the expertise of a widely diverse group of Vanderbilt collaborators. In addition to virology and immunology, that expertise includes genetics, next-generation sequencing and advanced computing. The research is being done in four steps. Graylin Stewart was one of the first three individuals who donated their white blood cells late last year. During a leukapheresis procedure that lasted a little over three hours, Stewart’s white blood cells were removed by filtration and his red blood cells were returned to him. 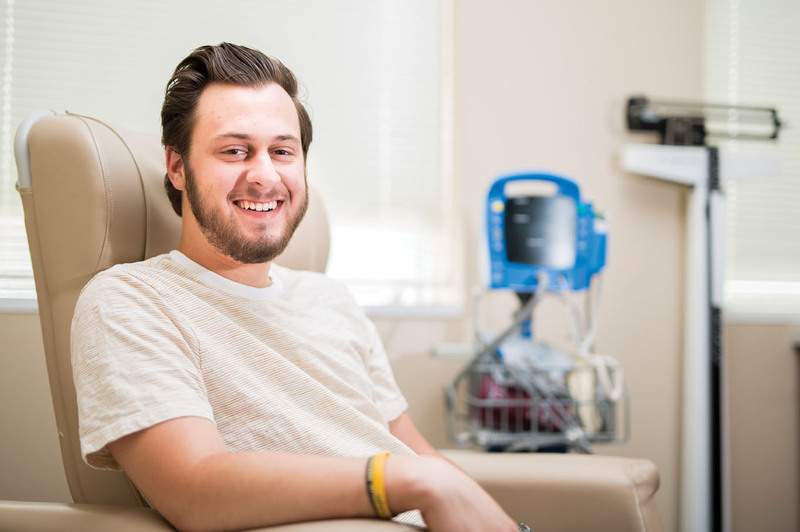 Graylin Stewart was among the first to donate his white blood cells for DNA extraction. Photo by Susan Urmy. 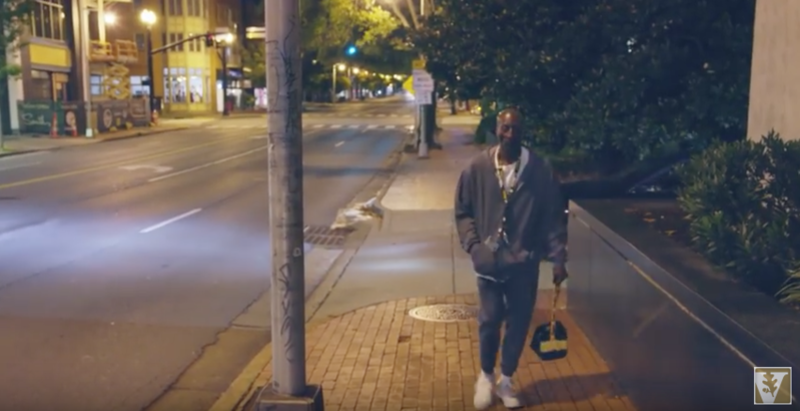 The 23-year-old Nashville drummer heard about the study from his mother, Cheryl Stewart, R.N., a research nurse in the Vanderbilt Clinical Trials Center. She put her son in touch with Karen Trochez, the center’s clinical and translational research coordinator at the time who oversaw volunteer recruitment and obtained their white blood cell donations. Trochez, who is from Miami, has been interested in medical research since high school. Her father and several other family members have type 2 diabetes. Both of her grandmothers died from complications of the disease, which has been linked to inflammation and immune system dysfunction. “As a young girl I always wondered what was behind that,” Trochez said. That’s what drives her involvement in medical research—the possibility that it will translate into positive outcomes for patients. In terms of having impact, “research is the way to go,” she said. Stewart’s bag of cells was delivered to the Vanderbilt Vaccine Center at the top of the Medical Research Building IV, across a plaza from Vanderbilt University Adult Hospital. There research assistants Nurgun Kose, Pranitha Matta and Dina Yousif enriched and concentrated the cells in preparation for the DNA extraction. This spring Kose, a senior research specialist from Turkey who has been with the Vanderbilt Vaccine Center since 2011, received a research staff award for excellence. “The things she does always work no matter how difficult they are,” said Crowe, who nominated her. One floor below, lab manager Robin Bombardi directs a team of people who extract DNA from the white blood cells and prepare the genetic samples for sequencing. Bombardi, who is from Murfreesboro, said he enjoys working on the scientific frontier and training others in the latest extraction and sequencing technologies. “Living on the boundary of the known and the unknown—that’s a good place to be for any scientist,” he said. Much of the sequencing is performed in the basement of VUMC’s Medical Center North. That’s where a consolidated shared resource called VANTAGE (Vanderbilt Technologies for Advanced Genomics) is located. 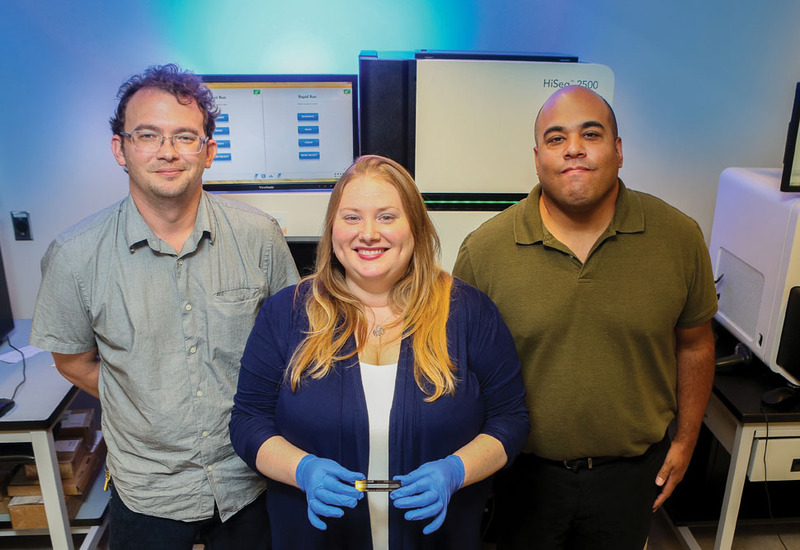 The data churned out by the sequencers is then sent back across the street and upstairs to the Vanderbilt Vaccine Center so Cinque Soto, Ph.D., research associate professor of Pediatrics and an expert on structural bioinformatics, can began the initial analysis. The Human Immunome Program is focused on the genes that encode the most variable region of the white blood cell receptor, called the CDR3. The receptor is basically a combination antenna and grappling hook. If the receptor recognizes an antigen, a protein worn like a nametag on the outer coat of an invading virus, it will grab onto it. If the receptor belongs to a T cell, the binding will trigger the T cell to attack and destroy the virus. If the receptor is part of a B cell, binding will trigger the B cell to bud off an antibody that sounds the alarm for other immune cells to arrive on the scene and neutralize the foreign invader. How this happens is not fully understood. What is known is that receptor genes in the CDR3 region consist of a bunch of segments that can arrange themselves in more than 10,000 different combinations. Spaces inserted between the segments and mutations that occur as the DNA sequences are being put together push the number of possible combinations—and thus the number of different receptors—much higher. Researchers obtained 6.5 billion different sequences or “reads” from the first three volunteers, including Stewart. That’s not the complete picture. Leukapheresis captures a portion of the white blood cells circulating in the bloodstream. It doesn’t sample the lymph nodes or spleen where immune cells hang out until called into action. But it’s a start. How many different CDR3 sequences are found in circulating white blood cells? How often are these sequences altered by mutations? How many of these sequences are shared between different individuals? That commonality is considered to be the “sweet spot” for vaccine development. Targeting common sequences increases the chances that vaccines can be developed that cover more people. Researchers will follow the “immunomes” of volunteers over 10 years to study the impact of age and disease on the body’s ability to mount effective immune responses. assistant professor in the Vanderbilt Vaccine Center. Photo by Susan Urmy. They also want to know if they can trace the CDR3 sequences back to their original, inherited source—the germline genes on the chromosomes from which they evolved through mutation and sequence rearrangement. Perhaps no one takes the work more personally than its leader. As a fourth-year medical student, Crowe provided basic health care to people in Sub-Saharan Africa and Papua New Guinea in the South Pacific. 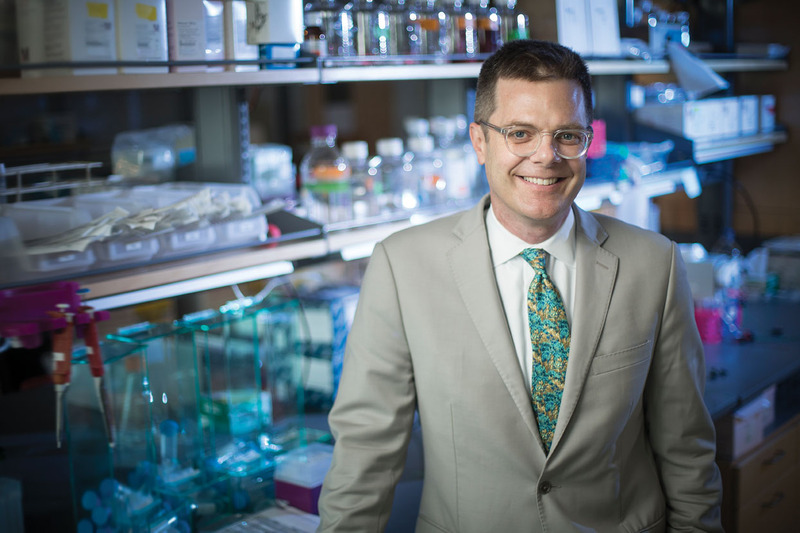 In 1995, he joined the Vanderbilt faculty and began building up a research group aimed at improving the prevention and treatment of infectious diseases. But Crowe has never given up his dream to help improve the health of some of the poorest people in some of the most remote corners of the globe—and here at home, too.